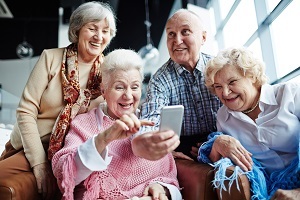 Responding to the challenges and potential of population ageing across the region, UNECE member States have adopted a Ministerial Declaration on “a Sustainable Society for All Ages: Realizing the potential of living longer”. The Lisbon Declaration recognizes the significant progress made by countries across the region in line with the commitments of the Regional Implementation Strategy (RIS) of the Madrid International Plan of Action on Ageing (MIPAA), adopted in 2002. It identifies achievements in raising awareness among policymakers, social partners, media, civil society and the general public to population ageing, and welcomes multi-sectoral involvement and innovation to promote active ageing and foster participation of older persons in decision making processes. Acknowledging however that much progress is still to be made, and noting the need for some UNECE member States to develop comprehensive responses to ageing, the Lisbon Declaration sets out a forward-looking agenda for the implementation of the fourth cycle of RIS/MIPAA (2017-2022). Speaking at the Conference’s High-level Segment, Ms Olga Algayerova, Executive Secretary of UNECE, welcomed the adoption of the Lisbon Declaration as “a strong foundation to recognize and better harness the potential that longer lives offer to individuals and societies.” Looking ahead, “it guides us towards a sustainable society for all ages. It empowers old and young to participate in and contribute to society. The Lisbon Declaration affirms the need to safeguard the rights of older people, it reinforces essential commitments, and it refines our focus”, she added. For the Portuguese Minister of Labour, Solidarity and Social Security, José António Vieira da Silva, “one of the key points outlined in this conference has to do with the fact of the more traditional vision of social assistance being replaced by a human rights perspective. This was previously concluded in the Vienna Declaration adopted in 2012, and in Lisbon, the promotion of active ageing as a dimension to guarantee human rights for all has been reinforced”. Further, he added, “the strong message of this conference was the realization of the potential of living longer and the right to participate in all dimensions of civic, economic, and social life of older persons. It is not only a human right, it is more than that it is the recognition of a modern society. The integration of older persons is no longer only a political goal or a human rights demand, but also a necessity for our economies. The economy will not be sufficient to respond to future challenges if it cannot integrate older persons in its policies and strategies”. In addition, UNECE member States committed to continue to actively participate in the UNECE Working Group on Ageing. To further support the intergovernmental collaboration in the field of population ageing, the UNECE member States, on a proposal introduced by the Portuguese delegation, acknowledged the need to explore the possibility of a resource-neutral transformation of the UNECE Working Group on Ageing to a standing sectoral committee. The Conference, held on 21-22 September 2017, brought together some 400 participants, including 34 Ministers, Deputy Ministers or State Secretaries, and high-level officials from UNECE member States, and at the invitation of Portugal, high-level officials from Portuguese-speaking countries (Brazil, Cabo Verde, São Tomé and Principe and Mozambique), as well as representatives of European and international organizations, researchers, older persons and non-governmental organizations representing them. The Lisbon Declaration also underlines ageing as a cross-cutting theme within countries’ implementation of the United Nations 2030 Agenda and its Sustainable Development Goals, highlighting links to health, poverty eradication, education, employment, gender equality and inclusive urban development. Looking ahead, UNECE will facilitate countries’ implementation of the commitments of the Lisbon Declaration during the fourth cycle of RIS/MIPAA review. The Ministerial Conference on Ageing was organized by UNECE in cooperation with the Government of Portugal, under the coordination of the Ministry of Labour, Solidarity, and Social Security.